What's common between the economic recovery in the US and Europe, and the economic boom in China and emerging Asia? Answer: They are both being driven by rapid growth in new technological innovations. The 3D printing industry is an integral part of those innovations. Let's look at the 4 key reasons that make 3D printing more than just a fascinating field. 1. The worldwide 3D market is estimated at over $15 billion, and a lot of it is open right now to home internet users anywhere in the world. 2. 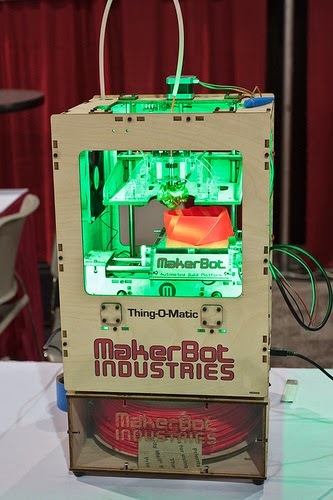 The cost of 3D printers is getting cheaper by the quarter. The lowest end model costs no more than $500, but the good thing is, you don't even need to own a printer to get started in 3D printing. 3. The most popular material filament for 3D printing is ABS/PLA thermoplastic (these are two different kinds of plastic material filament). Over 90% of home 3D printers use this strong, tested and cheaply available material. 4. Home 3D printing is a true recession proof business for the ages. It supports local manufacturing, lowers the cost-of-product to the market, and makes the idea of risk-free profit easier to get than any other home based venture. Free 3D software like Blender and flexible digital sculpting tools like ZBrush, let anyone with a computer (or access to one) become a 3D printing owner. Fact is, 3D manufacturing is an evergreen global business. The need for rapid prototyping and product development (concepts that are at the core of 3D technology) are much required in industries ranging from car design to medicine; military to entertainment. Once you understand the basics, you can run this business completely online with low overheads and zero requirements of ownership. You don't need a printer since you can outsource your design printing to a local print shop. There are also options to print remotely, through low-cost 3D printing server farms. Given the ever-present opportunities and wide open possibilities. it makes a truly fitting case for people of any background -- including non-technical folks -- to get involved with the 3D printing revolution. It is simple, low-cost, profitable and legitimate.